Apart from being popular beverages in the world, do you know what the common link between beer and coffee is? Both may be affected by climate change. While we already know that climate change will impact coffee, a new study published in Nature Plants has established that beer is also under threat. Rising temperature and drought due to climate change can hit the beer supply hard all over the world and make beer more expensive. 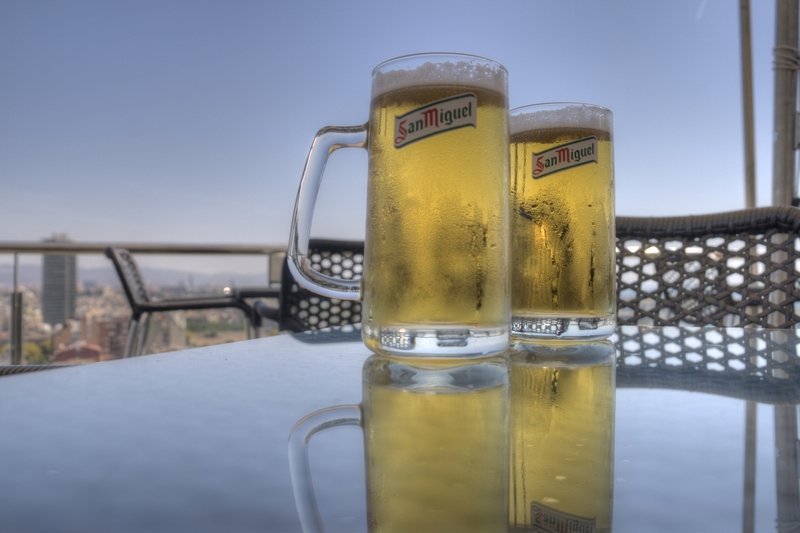 Hot climate in future can mean bad news for that chilled beer. Credits: LucidN21 – Own work, CC BY-SA 3.0 1, Wikimedia Commons. Those who love beer, know how good a mug full of chilled frothing brew feels after a long tiring day, just like a hot cup of coffee or tea or cocoa would for some. However, there is some bad news about how the future may affect beer. Beer is on its way to follow coffee and chocolate into scarcity if climate change has its way. Yes, you may run dry of beer very soon and climate change is to blame for that. A recent study was conducted by a team of researchers from China, U.K., and U.S who were intrigued to know what will happen to barley, the crop from which beer is produced, under extreme drought and heat due to climate change. Please beer with the science: how climate change affects beer? The team used a weather dataset from the year 1981-2010 to estimate how frequent extreme events like increased temperatures and droughts due to climate change would be. They then used a variety of future predictions of climate conditions for the period 2010-2099 through computer simulations. Next, they simulated how these extreme events would affect the production of barley using data of barley production from 34 regions in the world. These 34 regions are mostly individual countries where high barley production and/or consumption of beer have been recorded. Finally, they used yet another simulation to see how this changing barley production impacted the price of beer in each region. In short, the scientists determined how barley production, beer production, and beer price changes under different climate change scenarios. However, some words of caution while using the results: simulations aren’t perfect. For example, the simulation for barley production was based on the current conditions and did not assess any future changes. Also, the simulation did not account for factors like socio-economics, global population, and changes in productivity, which may further impact barley and beer production, beer consumption, and prices. Nonetheless, what they have found is pretty sobering. Will climate change leave beer lovers high and dry? The results indicated that extreme events like high temperature and drought due to climate change may lead to a decline in global beer supply ranging from 3% under less severe climatic conditions to 17% under the most severe climatic conditions. The projected decrease in global beer supply was not uniform all over the world because barley supply is governed by production and trade among countries. Hence, for countries like China, Japan and Belgium that rely mostly on barley imports, the projected decrease was larger because the supply also decreased. The allocation of barley to uses other than beer production differs from region to region, which can also affect the regional production and consumption of beer. As a consequence, global beer consumption was found to drop by 4-16% depending on the climate change scenario, while beer prices increased. Countries like China and the U.S., which are some of the biggest beer consumers, are projected to have the highest decline in total beer consumption. Similarly, the Czech Republic and Ireland, which have the highest per capita beer consumption are projected to show the largest decline in per capita beer consumption. Beer prices are projected to increase the most in Ireland. Beer has always been a symbol of celebration and a loved beverage all over the world. Without effective efforts to tackle climate change, instead of beer, trouble would be brewing for us. High time to wake up and smell the beer! Grad students: Apply now for ComSciCon’18! Let’s Paint the Town Green!